Recently, Los Angeles teachers went on strike for smaller class sizes, higher salaries, and more nurses, librarians, counselors, and community schools. And guess what? It worked. For now. On Jan. 22, the six-day strike that closed schools for 34,000 Los Angeles Unified School District (LAUSD) students ended. This was a victory for the United Teachers of Los Angeles (UTLA), which ratified the new contract by 81 percent. As usual, not everyone is happy with the new contract because there are so many needed improvements. Special education teachers, for example, were not included in class size negotiations. But the new agreement covers enough critical issues — including a 6 percent salary increase — to at least partially satisfy participating district employees. Other changes include additional counselors and librarians; one full-time nurse per campus by 2020-21; more community schools; and class-size reductions over the next four years. Obviously, a salary increase is on the top of teachers’ 2019 wish list, and other improvements will alleviate teachers’ daily burdens. Consider class size. After salaries, class size is one of the most critical aspects of new teacher union agreements. Reduced class sizes can improve teaching quality, relieve workloads like paper grading, and elevate general morale in less crowded rooms. The class-size portion of the UTLA agreement is structured over four years. Grades 4-12 will presumably lose one student per class in the next two school years, and then lose two more by the 2021-22 school year. Over a four-year span, average class sizes should be four students fewer than now. The agreement allots $175 million for new staff and class size reductions in 2019-20, and $228 million in the following year. Those excited about the changes will see them pay off in the next few years, while salary increases begin immediately and are even retroactive to 2017. While many striking L.A. teachers have returned to work, Accelerated Schools’ charter school teachers, who are also represented by UTLA, are still striking in Southern California. They want higher salaries, improved health benefits, and a plan to address high teacher turnover rates. This is the California’s first charter teachers’ strike, following the nation’s first charter strike in Chicago last December. In Northern California, Oakland Education Association is preparing a strike vote. "Strike while the iron is hot," goes the saying. 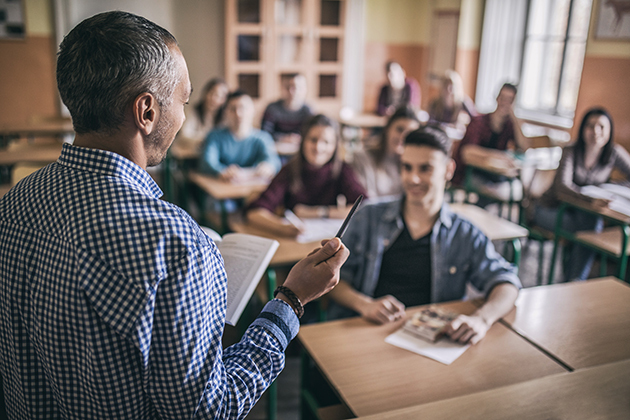 2018 provided us a wave of teacher union actions in West Virginia, Colorado, North Carolina, Oklahoma, Arizona, Washington, and Kentucky — showing no signs of abatement in 2019. What’s behind the wave? These states have some of the largest teacher salary pay gaps. They have also suffered under the bipartisan education reform measures that have starved schools of essential infrastructure, staff, and resources for decades. After a solid year of effective actions, a backlash is brewing. Last year, West Virginia teachers won a new contract after a nationally recognized nine-day strike. But now, a new, 139-page piece of GOP legislation has people very worried. This bill promotes charter schools and compromises earlier gains won by striking teachers. We have not heard the last from West Virginia teachers. Looming behind this backlash legislation is a recent U.S. Supreme Court ruling, referred to as Janus, which makes it illegal to automatically deduct union dues from public employee paychecks. Since Janus, the National Education Association reports "a decline in total members and fee-payers of 72,325 from the end of August 2017 through the end of August 2018 (out of a total base of just over 3 million)..." This is an example of Janus’ potential far-reaching effects. There’s also a growing legal conflict over collecting member fees after Janus, further complicating union operations. All of this reiterates what teacher unions already know. A new contract does not mean an end to conflict with administrators, school boards, legislators, and the public. There’s no rest for the weary when it comes to U.S. public education.